This house pendant is an innovative concept created by the architects Czech Uhlik Architekti, formed by architects Petr Uhlik, Jan SORM and Premysl Jurak. 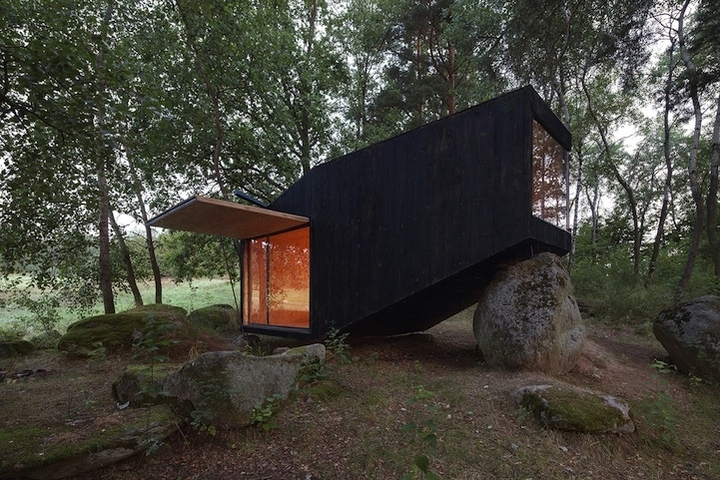 The house, called Forest Retreat, is built with a diagonal shape, the upper part rests on a giant boulder. 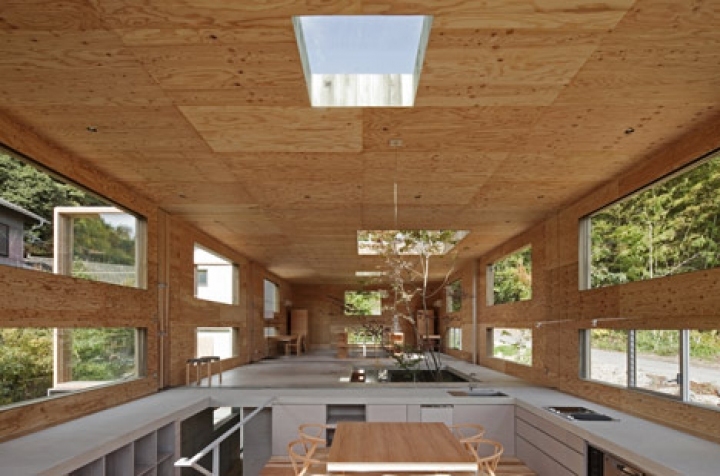 This is a small house in a forest, surrounded by green nature. 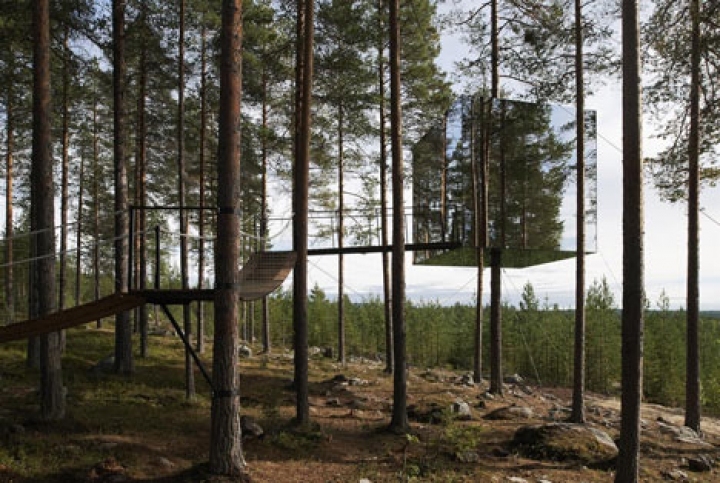 Here are some photographs of Tree Hotel di Tham & Videgård Arkitekter , A glass box suspended aspecchio around the trunk of a tree in Harads in northern Sweden. 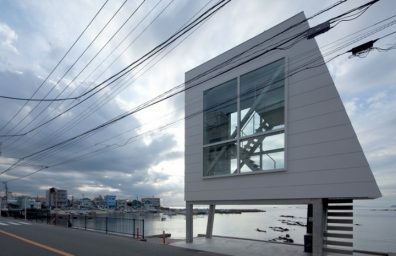 The 4x4x4 cubic meters is accessible from the rope bridge and reflects the surrounding forest and the sky.